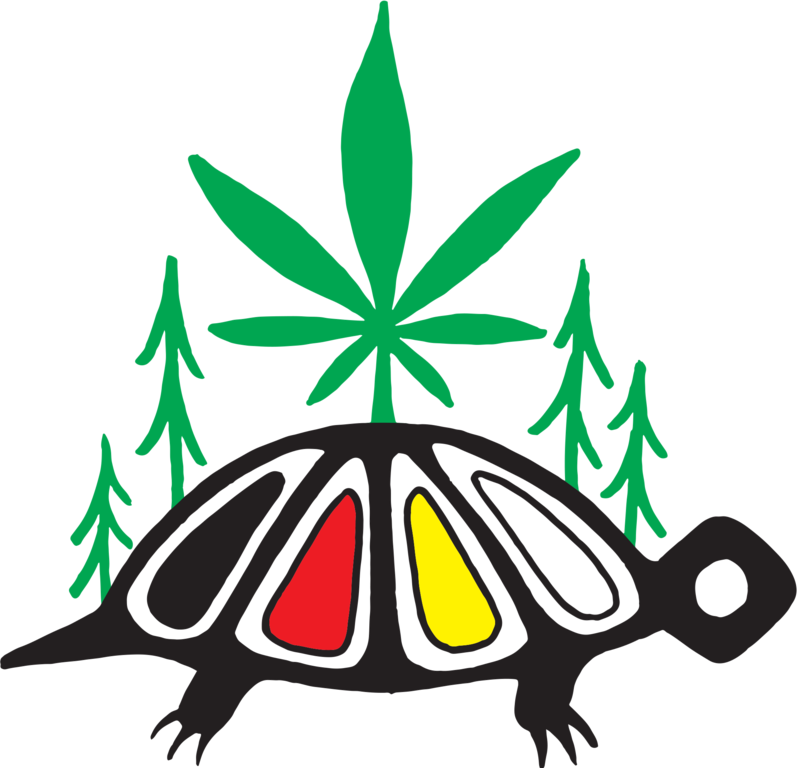 TYENDINAGA MOHAWK TERRITORY – Business is booming at Legacy 420, Tyendinaga’s first medical cannabis dispensary. Day after day, from morning until night, the parking lot and storefront at 5965 Old Hwy 2 in Tyendinaga is packed with customers looking to purchase medical marijuana to treat their ailments. According to owner Tim Barnhart, most of his customers are coming from off reserve, and they largely consist of a mature clientele, many of whom are suffering from significant health problems. 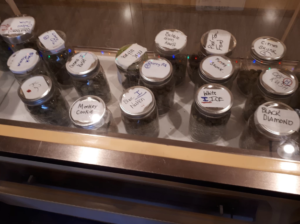 For them, the fact that Barnhart’s store is a short drive from Highway 401, one of Canada’s busiest highways, makes it convenient and accessible, given how few medical marijuana dispensaries there currently are outside of Canada’s big cities. With marijuana legalization in Canada expected in the spring of 2017, Barnhart’s business is one of hundreds of medical marijuana dispensaries that have sprung up across Canada in the last year. By treating access to medical cannabis as a human right, Barnhart and many other grassroots entrepreneurs like him have made it possible for an increasing number of Canadians to access medical grade cannabis and exercise what courts have deemed a constitutional right to treat themselves. Legacy 420 owner Tim Barnhart points out some features in his new building. 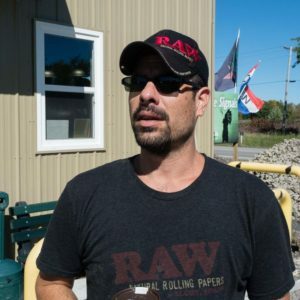 What distinguishes Barnhart’s efforts from many others is that his business is located in the Mohawk community of Tyendinaga, and that he sees the cannabis plant as a powerful economic stimulus that could enable indigenous communities to finally break with the legacy of Canadian colonialism and rebuild their own economies on their own terms. When hemp production was criminalized in 1923 in Canada, its production and sale was forced underground. Especially since the 1970s – when smoking the plant became popular – that has meant that most production has taken place through small scale personal growing or the efforts of organized crime. And with marijuana consumption rapidly growing, the Canadian government now estimates that the black market production of marijuana is bringing in an estimated $7 billion a year in income. Governments and corporate interests want their piece of this massive underground economy, and this is the real reason behind the Trudeau government’s push for legalization. And while finalized plans for cannabis legalization have yet to be fully announced, early signs indicate that government regulations will benefit the big pharmaceutical and agro-industrial companies which are poised to take over the fledgling medical cannabis industry once it is legalized. The preferred Canadian government solution is a “factory” model of growing, in which only those with deep pockets, ties to the existing system, and millions of dollars of investment capital can afford to compete. Legacy 420 owner Tim Barnhart opens the gate to his new building in Tyendinaga Mohawk Territory. But Barnhart has visions for an alternative medical Cannabis industry controlled by neither organized crime or big pharma. 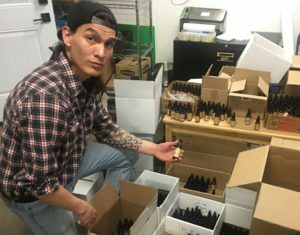 He wants indigenous peoples on reserves across Canada to become major players in growing medical cannabis on reserve and for indigenous people to build multiple industries that will allow them to benefit from every aspect of this versatile plant’s gifts. 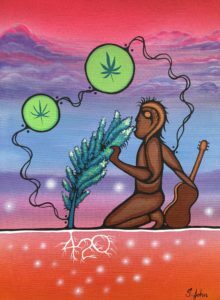 As Barnhart puts it, “The medical cannabis industry provides native peoples with a way of being self reliant. 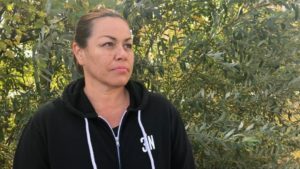 There’s no doubt in my mind that if all native people worked together this could be something massive for our people.” While the most obvious target market for a native owned and operated medical cannabis industry would be the steady stream of non-natives who are already coming to purchase their tax-free cigarettes and gas on reserve, Barnhart has even bigger dreams of selling native cannabis on the global market. The entrance to the new 420 Legacy building in Tyendinaga. Such a legal framework clearly indicates that Indigenous people can no longer be stopped from developing their own institutional and political frameworks to build and grow their own economies. In 2014, Barack Obama let it be known that US federal authorities would no longer interfere with medical marijuana grown on US Reserves as long as they complied with state regulations and protocols for medical marijuana. This decision has led to over 100 US native tribes taking steps to begin medical marijuana initiatives. And with some 23 US states having already legalized medical marijuana, and more including Colorado, Washington DC, and California having legalized recreational use as well, it is clear to many indigenous nations that the time is now for investment in the medical marijuana industry. 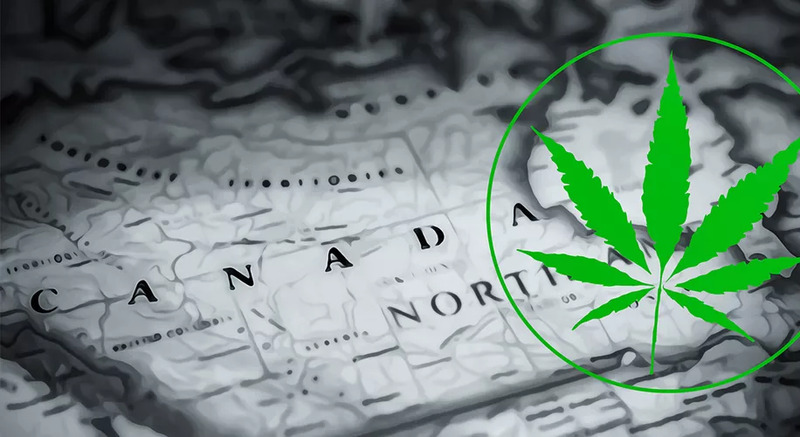 On the Canadian side of the border, the push to medical marijuana is similarly strong. Major tobacco producers out of Six Nations have been linked to major investments in medical cannabis production on US Native reserves. 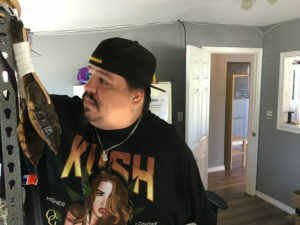 As the CBC reports, the Wahgoshig First Nation in Ontario, the Penticton Indian Band in British Columbia, and the Tobique First Nation in New Brunswick are all involved in multi-million dollar medical marijuana initiatives. Even Phil Fontaine, the former Grand Chief of the Assembly of First Nations, is getting in on the game, as he is now heading up a new medical marijuana initiative. Barnhart is putting his money where his mouth is. 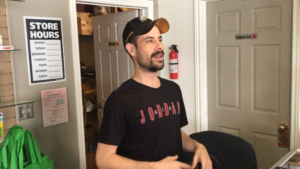 He is giving back to the community (he donated $10,000 in cash to the food bank this Christmas season) and he is ploughing the profits from his business right back into further expansion on reserve. Barnhart grew and sold over 1000 plants outdoor on his land in Tyendinaga last year. From that revenue he is building a new 7500 square feet retail store that 420 Legacy will be moving into in February of 2017. He is also building greenhouses and purchasing land to grow medical cannabis on an even bigger scale. 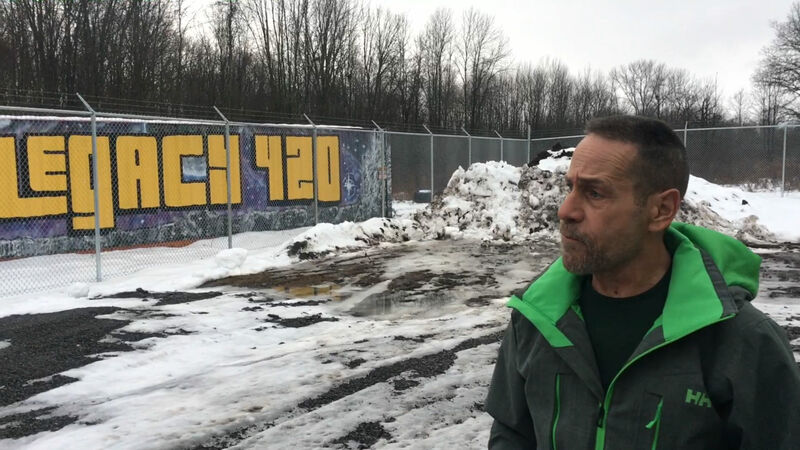 Legacy 420 owner Tim Barnhart stands beside one of the two sea containers that he filled with medical marijuana grown on Tyendinaga Mohawk Territory last year. Barnhart wants to put that knowledge and ambition to work in building training and certification programs for workers in the Indigenous medical cannabis field. His new building has dedicated space for classroom and training facilities. Barnhart sees the medical cannabis industry as a tide that will lift all boats, and he wants to take a different approach than the one followed by the indigenous tobacco industry which he thinks has failed to adequately give back to the community. One of the top concerns for Barnhart is adequate compensation for workers in the medical cannabis industry. Expect to hear more from Barnhart in 2017. 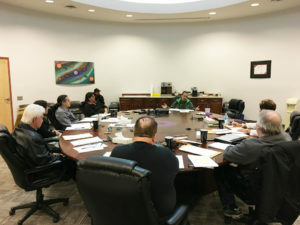 He is working with a group of other native growers and sellers of medical cannabis to create an Indigenous Medical Cannabis Association to advocate for native interests and to encourage self-regulation of their industry. For more information about Barnhart and Legacy 420, please check out their Facebook page, call them at 613-969-1849, or drop by the storefront (located at 5965 Old Hwy 2 in Tyendinaga Mohawk Territory.